Every 20 minutes, another child is diagnosed with autism. Are you ready to meet this growing educational challenge? 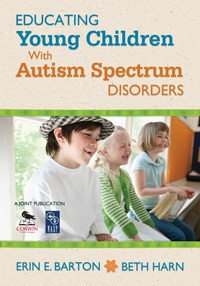 Make it happen with Educating Young Children With Autism! Inside, find helpful forms, charts, and activities to use with learning programs. Grab your copy today and start improving student and family outcomes tomorrow!